The first two Zens will feature an 8-core consumer chip and a 32-core server chip. AMD on Thursday finally unveiled its new Zen microarchitecture, with a pair of CPUs that could put the company back into the fight with Intel’s best. 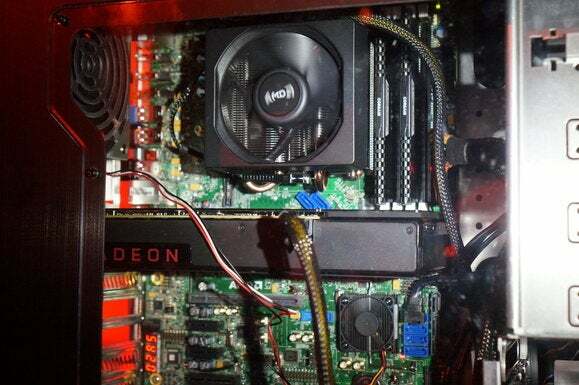 AMD said its Summit Ridge CPU, aimed at high-performance desktops, will pack 8 cores and feature simultaneous multi-threading technology to give it 16 threads of processing power. Summit Ridge is targeted for Q1 2017, though a trickle of chips could appear sooner. A second chip for servers, code-named Naples, will feature an astounding 32 cores with SMT, giving it 64 threads per CPU. SMT is similar to Intel’s Hyper-Threading technology, which splits a single core into two virtual cores for more performance. 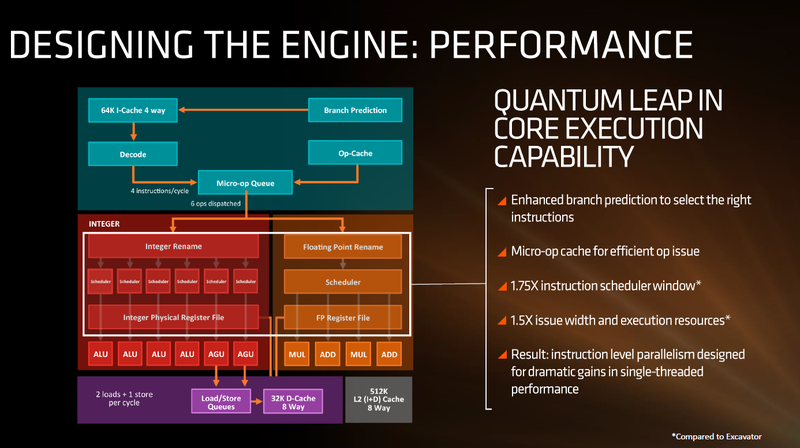 To prove that Zen has the right stuff, AMD officials on Wednesday night demonstrated before a crowd of reporters and analysts that an 8-core Zen could run just as fast as Intel’s newest 8-core consumer Core i7 chip. 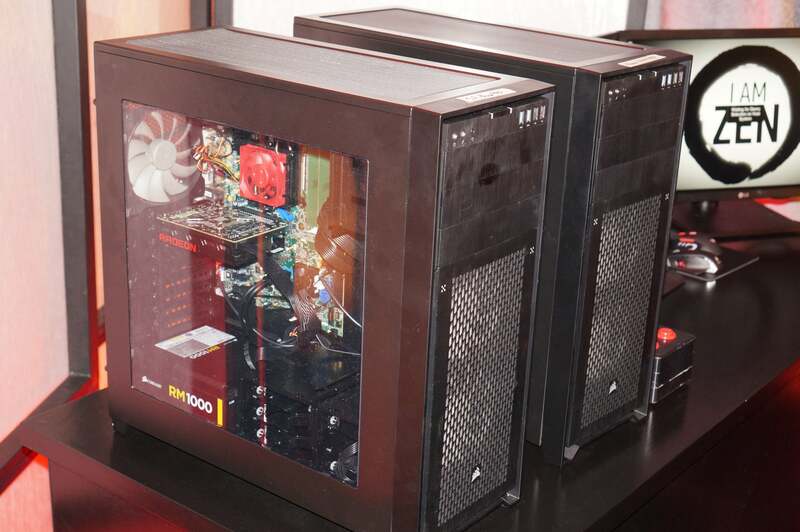 AMD’s Summit Ridge SoC (left) running at 3GHz can run a Blender render just as fast as a Core i7-6900K (right) running at 3GHz. Why this matters: Up to now, some had speculated that Zen would fall short. Recently-leaked benchmarks seemed to indicate it was no better than Intel’s Haswell microarchitecture released more than two years ago. If other tests back up AMD’s demonstration, however, it appears to run neck-and-neck with the newly released Broadwell-E. 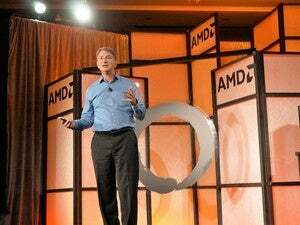 If AMD can live up to its promise, it's great news for the company as well as for consumers. The demonstration used the multi-threaded Blender rendering application on two similarly configured PCs. One featured an engineering sample Summit Ridge chip, while the other featured a new Intel Broadwell-E Core i7-6900K CPU. While the Core i7-6900K can run up to 4GHz on some workloads, AMD conducted the test with both CPUs locked at 3GHz. This methodology may seem unorthodox to some, but matching the chips clock-for-clock helps reveal their efficiencies. Conducting the test this way also helps AMD protect the final shipping clock speeds of the chips. 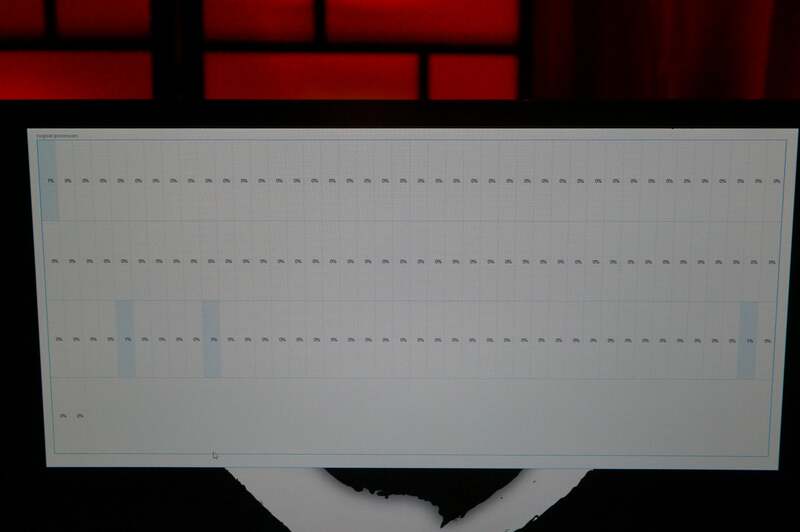 In the demo, which was performed just once, the Zen finished a nose ahead of the Broadwell-E Core i7-6900K chip. It’s just a single test on an unreleased CPU, and under the control of AMD. Still, the significance of the performance feat quells any fears that Zen would be the all-too-familiar “too little, too late” story from a company that has eaten Intel’s dust. 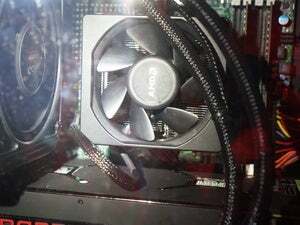 AMD’s Zen will fit into the new AM4 socket and appears to support dual-channel DDR4. 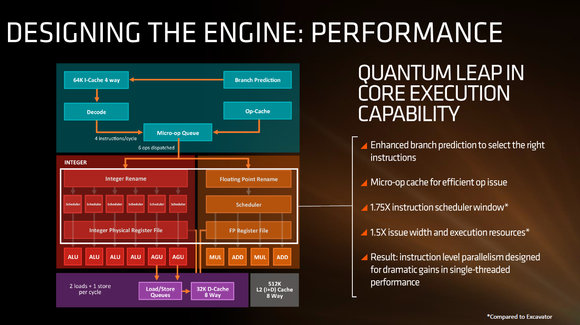 AMD officials also lifted the curtain on Zen's completely new microarchitecture. Gone are the shared, clustered multi-thread cores of the previous Bulldozer and Piledriver designs—Zen’s cores are stand-alone cores with SMT. The chip is being fabbed by spin-off company Global Foundries on a 14nm process, using FinFet technology. AMD’s new Zen is a completely new CPU demonstrating a big performance boost over previous designs. 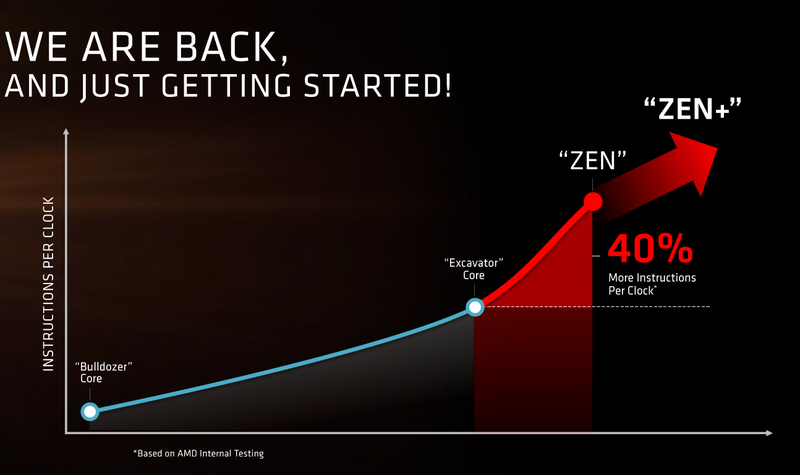 AMD CTO Mark Papermaster said the Zen core is about performance, throughput, and efficiency. Papermaster said Zen features a new high-performance cache, a greatly improved prefetcher, and a completely redesigned branch prediction unit. This is a big deal for AMD, and Papermaster showed it. “It’s a thrill to tell you we fully validated our performance achievement,” he said, beaming. He also promised that AMD was just warming up. “We are back. I told you a year ago we are back. And I’m very happy to tell you we delivered that performance and the team is not stopping, they are full forward on the next-generation design." The Summit Ridge chips are actually SoCs and will support DDR4, USB 3.1 10Gbps, NVMe, SATA Express and PCIe 3.0. Other details of Summit Ridge such as die size, transistor count and thermals weren’t released Wednesday night. Here’s what 128 threads of computing looks like on a dual-processor AMD Naples-based server. It’s not just about the desktop, either. AMD also wowed the crowd by demonstrating its server-oriented Naples SoC running in a dual-processor system. With each Naples packing 32 cores and SMT, that means a Naples-based server would feature 128 threads of compute power. Officials said Zen will continue to evolve—the new chip design will scale down to laptops sometime next year. 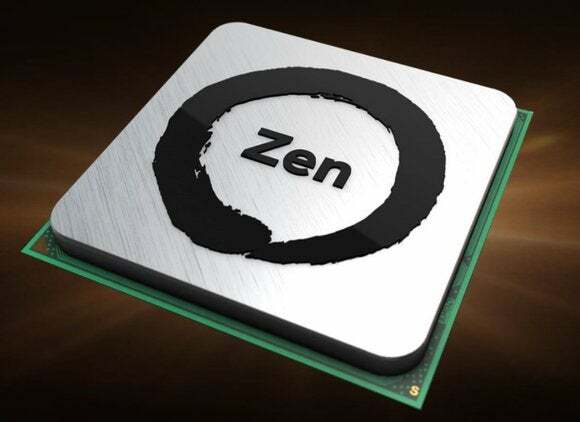 But first AMD needs to ship these first Zen chips. The consumer-focused Summit Ridge is expected to hit shelves in the first quarter of 2017, but AMD officials said some limited chips may ship in systems as soon as the end of this year. The server-oriented Naples chip would hit in the first half of 2017. AMD promised more than a year ago the new Zen CPU design would be 40 percent faster than its previous chip and it claims to have hit the mark.